In response to the Italian defeats in Greece and North Africa, the Oberkommando der Wehrmacht ordered the deployment of some German forces to these theatres. Amongst the Luftwaffe contingent deployed was the Geschwaderstab StG 3, which touched down in Sicily in December 1940. In the next few days, two Gruppen - some 80 Stukas - were deployed under X. Fliegerkorps. The first task of the Korps was to attack British shipping passing between Sicily and Africa. The Ju 87s first made their presence felt by subjecting the British aircraft carrier HMS Illustrious to heavy attack. The crews were confident that they could sink it as the flight deck had an area of about 6,500 square metres. On 10 January 1941, the Stuka crews were told that four direct hits with 500 kg (1,100 lb.) bombs would be enough to sink the carrier. The Ju 87s delivered six and three damaging near misses but the ship's engines were untouched and she made for the besieged harbour of Malta. The Italian Regia Aeronautica was equipped for a while with the Stukas. 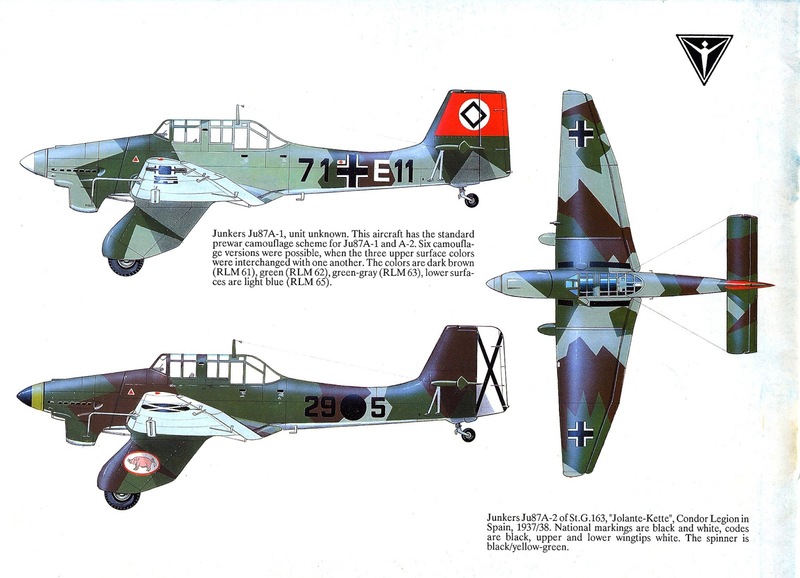 In 1939, the Italian government asked the RLM to supply 100 Ju 87s. Italian pilots were sent to Graz in Austria to be trained for dive-bombing aircraft. In the summer of 1940, about 100 Ju 87 B-1s, some of them ex-Luftwaffe machines, were delivered to 96° Gruppo Bombardamento a Tuffo. The Italian Stuka, renamed Picchiatello, was in turn assigned to Gruppi 97°, 101° and 102°. The Picchiatelli were used against Malta, Allied convoys in Mediterranean and in North Africa (where they took part in conquering Tobruk). They were used by the Regia Aeronautica up to 1942. Some of the Picchiatelli saw action in the opening phase of the Italian invasion of Greece in October 1940. Their numbers were low and ineffective. The Italian forces were quickly pushed back. By early 1941, the Greeks had pushed into Italian occupied Albania. Once again, Hitler decided to send military aid to his ally. In March, the pro-German Yugoslav government was toppled. A furious Hitler ordered the attack to be expanded to include Yugoslavia. Operation Marita commenced on 7 April. The Luftwaffe committed StG 1, 2 and 77 to the campaign. The Stuka once again spearheaded the air assault, with a front line strength of 300 machines, against minimal Yugoslav resistance in the air, allowing the Stukas to develop a fearsome reputation in this region. Operating unmolested, they took a heavy toll of ground forces, suffering only light losses to ground fire. The effectiveness of the dive bombers helped bring about Yugoslav capitulation in just ten days. The Stukas also took a peripheral part in Operation Punishment - Hitler's retribution bombing of Belgrade. The dive bombers were to attack airfields and anti-aircraft gun positions whilst the level bombers struck civilian targets. Belgrade was badly damaged, with 2,271 people reported killed and 12,000 injured. In Greece, despite British aid, little air opposition was encountered. As the Allies withdrew and resistance collapsed, the Allies began evacuating to Crete. The Stukas inflicted severe damage on Allied shipping. On 22 April, the 1,389-ton destroyers Psara and Ydra were sunk. In the next two days, the Greek naval base at Piraeus lost 23 vessels to Stuka attack. During the Battle of Crete, the Ju 87s also played a significant role. On 21–22 May 1941, the Germans attempted to send in reinforcements to Crete by sea but lost 10 vessels to "Force D" under the command of Rear-Admiral Glennie. The force, consisting of the cruisers HMS Dido, Orion and Ajax, forced the remaining German ships to retreat. The Stukas were called upon to deal with the British naval threat. On 21 May, the destroyer HMS Juno was sunk and the next day the battleship HMS Warspite was damaged and the cruiser HMS Gloucester was sunk, with the loss of 45 officers and 648 ratings. The Ju 87s also crippled the cruiser HMS Fiji that morning, (she was later finished off by Bf 109 fighter bombers) while sinking the destroyer HMS Greyhound with one hit. As the Battle of Crete drew to a close, the Allies began yet another withdrawal. On 23 May, the Royal Navy lost the destroyers HMS Kashmir and Kelly, followed by HMS Hereward on 26 May; Orion and Dido were also severely damaged. Orion had been evacuating 1,100 soldiers to North Africa; 260 of them were killed and another 280 wounded. The Sturzkampfgeschwader supported Generalfeldmarschall Erwin Rommel's Deutsches Afrikakorps (DAK) in its two year campaign in North Africa; its other main task was attacking Allied shipping. In 1941, Ju 87 operations in North Africa were dominated by the Siege of Tobruk, which lasted for over seven months. It served during the Battle of Gazala and the First Battle of El Alamein, as well as the decisive Second Battle of El Alamein, which drove Rommel back to Tunisia. As the tide turned and allied air power grew in the autumn of 1942, the Ju 87 became very vulnerable and losses were heavy. The entry of the Americans into North Africa during Operation Torch made the situation far worse; the Stuka was obsolete in what was now a fighter-bomber's war. The Bf 109 and Fw 190 could at least fight enemy fighters on equal terms after dropping their ordnance but the Stuka could not. The Junkers's vulnerability was demonstrated on 11 November 1942, when 15 Ju 87 Ds were shot down by United States Army Air Forces (USAAF) Curtiss P-40Fs in minutes. By 1943, the Allies enjoyed air supremacy in North Africa. 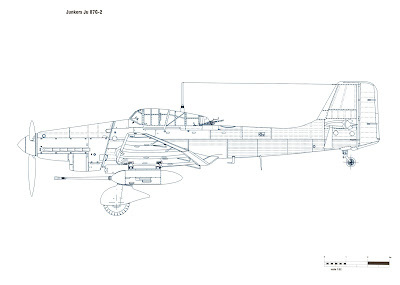 The Ju 87s ventured out in Rotte strength only, often jettisoning their bombs at the first sight of enemy aircraft. Adding to this trouble, the German fighters had only enough fuel to cover the Ju 87s on take-off, their most vulnerable point. After that, the Stukas were on their own. The dive bombers continued operations in southern Europe; after the Italian surrender in September 1943, the Ju 87 participated in the last campaign-sized victory over the Western Allies, the Dodecanese Campaign. The Greek Dodecanese Islands had been occupied by the British; the Luftwaffe committed 75 Stukas of StG 3 based in Megara and Rhodos, to recover the islands. With the RAF bases some 500 kilometres (310 mi) away, the Ju 87 helped the German landing forces rapidly conquer the islands. On 22 June 1941, the Wehrmacht commenced Operation Barbarossa, the invasion of the Soviet Union. The Luftwaffe order of battle of 22 June 1941 contained four Sturzkampfgeschwader. VIII. Fliegerkorps under the command of General der Flieger Wolfram von Richthofen was equipped with units Stab, II. and III./StG 1. Also included were Stab, I., II. and III. of Sturzkampfgeschwader 2 Immelmann. Attached to II. Fliegerkorps, under the command of General der Flieger Bruno Loerzer, were Stab, I., II. and III. of StG 77. Luftflotte 5, under the command of Generaloberst Hans-Jürgen Stumpff, operating from Norway's Arctic Circle, were allotted IV. Gruppe (St)/Lehrgeschwader 1 (LG 1). The first Stuka loss on the Soviet-German front occurred early at 03:40–03:47 in the morning of the 22 June. While being escorted by Bf 109s from JG 51 to attack Brest Fortress, Oberleutnant Karl Führing of StG 77 was shot down by an I-153. The Sturzkampfgeschwader suffered only two losses on the opening day of Barbarossa. As a result of the Luftwaffe's attention, the Soviet Air Force in the western Soviet Union was nearly destroyed. The official report claimed 1,489 Soviet aircraft destroyed. Göring ordered this checked. After picking their way through the wreckage across the front, Luftwaffe officers found that the tally exceeded 2,000. In the next two days, the Soviets reported the loss of another 1,922 aircraft. Soviet aerial resistance continued but ceased to be effective and the Luftwaffe maintained air superiority until the end of the year. 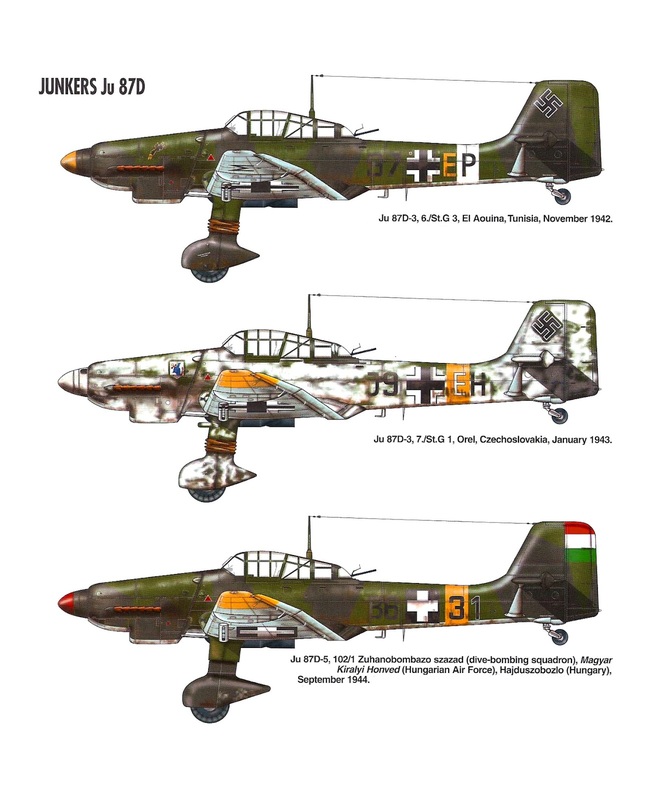 The Ju 87 took a huge toll on Soviet ground forces, helping to break up counterattacks of Soviet armour, eliminating strongpoints and disrupting the enemy supply lines. A demonstration of the Stuka's effectiveness occurred on 5 July, when StG 77 knocked out 18 trains and 500 vehicles. As the 1st and 2nd Panzer Groups forced bridgeheads across the Dnieper River and closed in on Kiev, the Ju 87s again rendered invaluable support. On 13 September, Stukas from StG 1 destroyed the rail network in the vicinity as well as inflicting heavy casualties on escaping Red Army columns, for the loss of just one Ju 87. On 23 September, Hans-Ulrich Rudel (who was to become the most decorated serviceman in the Wehrmacht) of StG 2, sank the Soviet battleship Marat, during an air attack on Kronstadt harbor near Leningrad, with a hit to the bow with a single 1,000 kg (2,200 lb.) bomb. Also during this action, Leutnant Egbert Jaeckel sank the destroyer Minsk, while the destroyer Steregushchiy and submarine M-74 were also sunk. The Stukas also crippled the battleship Oktyabrskaya Revolutsiya and the destroyers Silnyy and Grozyashchiy in exchange for two Ju 87s shot down. Elsewhere on the Eastern front, the Junkers assisted Army Group Centre in its drive toward Moscow. From 13–22 December, 420 vehicles and 23 tanks were destroyed by StG 77, greatly improving the morale of the German infantry, who were by now on the defensive. StG 77 finished the campaign as the most effective Sturzkampfgeschwader. It had destroyed 2,401 vehicles, 234 tanks, 92 artillery batteries and 21 trains for the loss of 25 Ju 87s to hostile action. At the end of Barbarossa, StG 1 had lost 60 Stukas in aerial combat and one on the ground. StG 2 lost 39 Ju 87s in the air and two on the ground, StG 77 lost 29 of their dive-bombers in the air and three on the ground (25 to enemy action). IV. (St)/LG1, operating from Norway, lost 24 Ju 87s, all in aerial combat. In early 1942, the Ju 87s were to give the Germany Army (Heer) yet more valuable support. On 29 December 1941, the Soviet 44th Army landed on the Kerch Peninsula. The Luftwaffe was only able to dispatch meager reinforcements of four Kampfgruppen (bomber group. Note: not Kampfgeschwader, meaning bomber wing) and two Sturzkampfgruppen, (dive bomber groups) belonging to StG 77. With air superiority, the Ju 87s operated with impunity. In the first 10 days of the Battle of the Kerch Peninsula, half the landing force was destroyed, while sea lanes were blocked by the Stukas inflicting heavy losses on Soviet shipping. The Ju 87's effectiveness against Soviet armour was not yet potent. Later versions of the T-34 tank could withstand Stuka attack in general, unless a direct hit was scored but the Soviet 44th Army had only obsolescent types with thin armour which were nearly all destroyed. For the German summer offensive, Fall Blau, the Luftwaffe had concentrated 1,800 aircraft into Luftflotte 4 making it the largest and most powerful air command in the world. The Stukawaffe strength stood at 151. During the Battle of Stalingrad, Stukas flew thousands of sorties against Soviet positions in the city. StG 1, 2 and 77 flew 320 sorties on 14 October 1942. As the German Sixth Army pushed the Soviets into a 1,000-metre enclave on the west bank of the Volga River, 1,208 Stuka sorties were flown against this small strip of land. The intense air attack, though causing horrific losses on Soviet units, failed to destroy them. The Luftwaffe's Sturzkampfgeschwader made a maximum effort during this phase of the war. They flew an average of 500 sorties per day and caused heavy losses among Soviet forces, losing an average of only one Stuka per day. The Battle of Stalingrad marked the high point in the fortunes of the Junkers Ju 87 Stuka. As the strength of the Soviet Air Forces grew, they gradually wrested control of the skies from the Luftwaffe. From this point onward, Stuka losses increased. The Stuka was also heavily involved in Operation Citadel, the Battle of Kursk. The Luftwaffe committed I, II, III./St.G 1 and III./StG 3 under the command of Luftflotte 6. I., II, III. of StGs 2 and 3 were committed under the command of Hans Seidemann's Fliegerkorps VIII.Hauptmann Rudel's cannon-equipped Ju 87 Gs had a devastating effect on Soviet armour at Orel and Belgorod. The Ju 87s participated in a huge aerial counter-offensive lasting from 16–31 July against a Soviet offensive at Khotynets and saved two German armies from encirclement, reducing the attacking Soviet 11th Guards Army to just 33 tanks by 20 July. The Soviet offensive had been completely halted from the air. Losses were considerable, however. 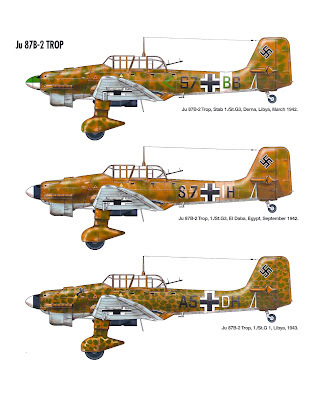 Fliegerkorps VIII lost eight Ju 87s on 8 July, six on 9 July, six on 10 July and another eight on 11 July. The Stuka arm also lost eight of their Knight's Cross of the Iron Cross holders. StG 77 lost 24 Ju 87s in the period 5–31 July (StG had lost 23 in July–December 1942), while StG 2 lost another 30 aircraft in the same period. 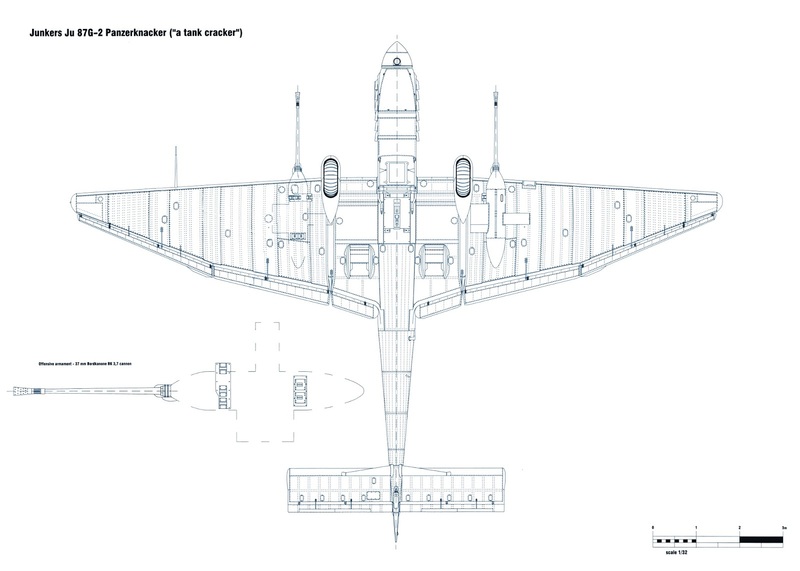 In September 1943, three of the Stuka units were re-equipped with the Fw 190F and G (ground attack versions) and began to be re-named as Schlachtgeschwader (attack wings). In the face of overwhelming air opposition, the dive-bomber required heavy protection from German fighters to counter Soviet fighters. 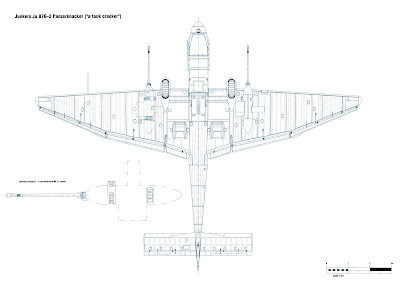 Some units like SG 2 Immelmann continued to operate with great success throughout 1943-45, operating the Ju 87 G variants equipped with 37 mm cannons, which became tank killers, although in increasingly small numbers. In the wake of the defeat at Kursk, Ju 87s played a vital defensive role on the southern wing of the Eastern Front. To combat the Luftwaffe, the Soviets could deploy some 3,000 fighter aircraft. As a result, the Stukas suffered heavily. SG 77 lost 30 Ju 87s in August 1943 as did SG 2 Immelmann, which also reported the loss of 30 aircraft in combat operations. Despite these losses, Ju 87s helped the XXIX Army Corps break out of an encirclement near the Sea of Azov. The Battle of Kiev also included substantial use of the Ju 87 units, although again, unsuccessful in stemming the advances. Stuka units were with the loss of air superiority, becoming ulnerable on the ground as well. Some Stuka aces were lost this way. In the aftermath of Kursk, Stuka strength fell to 184 aircraft in total. This was well below 50 percent of the required strength. On 18 October 1943, StG 1, 2, 3, 5 and 77 were renamed Schlachtgeschwader (abbreviated as "SG") wings, reflecting their ground-attack role, as these combat wings were now also using ground-attack aircraft, such as the Fw 190F-series aircraft. The Luftwaffe's dive-bomber units had ceased to exist. Towards the end of the war, as the Allies gained air supremacy, the Stuka was being replaced by ground-attack versions of the Fw 190. 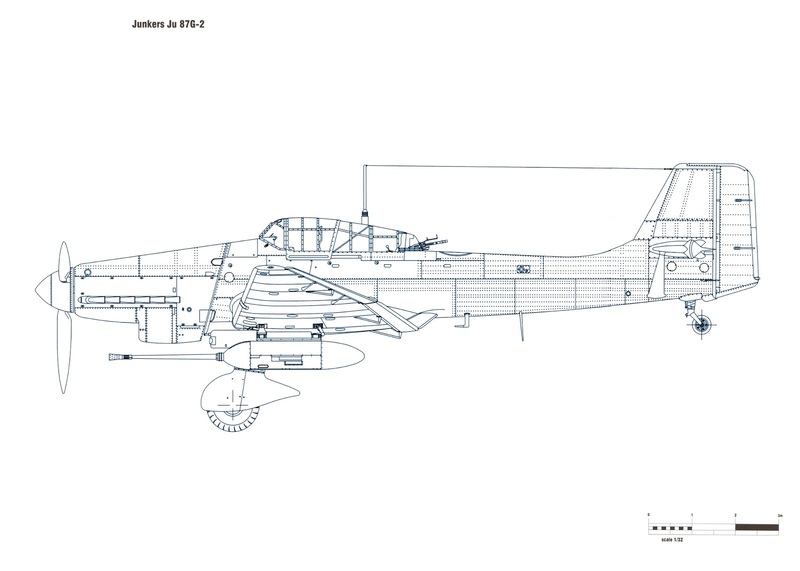 By early 1944, the number of Ju 87 units and operational aircraft terminally declined. For the Soviet summer offensive, Operation Bagration, 12 Ju 87 Gruppen and five mixed Gruppen (including Fw 190s) were on the Luftwaffe's order of battle on 26 June 1944 Gefechtsverband Kuhlmey, a mixed aircraft unit, which included large numbers of Stuka dive bombers, was rushed to the Finnish front in the summer of 1944 and was instrumental in halting the Soviet fourth strategic offensive. The unit claimed 200 Soviet tanks and 150 Soviet aircraft destroyed for 41 losses. By this juncture, the Luftwaffe continued to resist Soviet air attacks but it had little impact on the ground war. 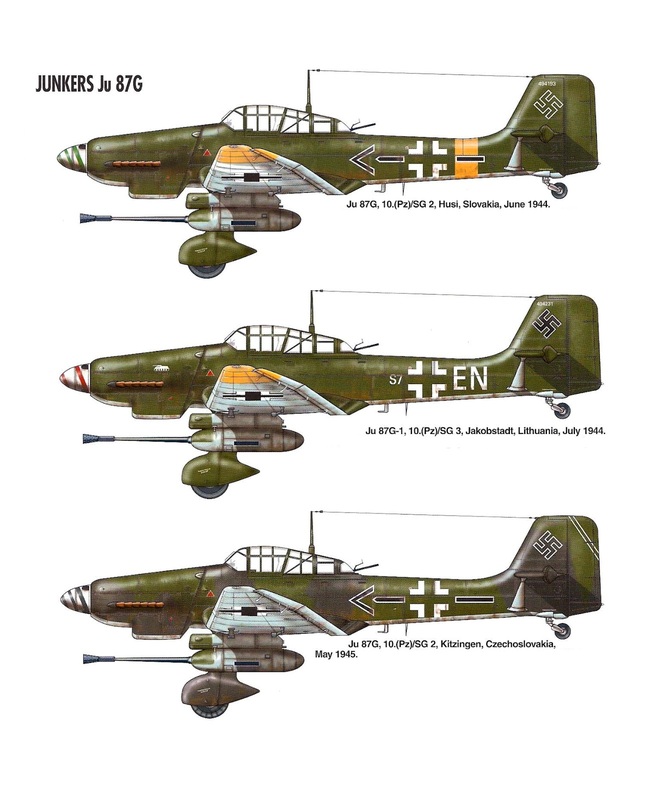 By 31 January 1945, only 104 Ju 87s remained operational with their units. The other mixed Schlacht units contained a further 70 Ju 87s and Fw 190s between them. Chronic fuel shortages kept the Stukas grounded and sorties decreased until the end of the war in May 1945.